Lilian AINSWORTH was born in Newrath, Kilkenny, Ireland, about 18721. 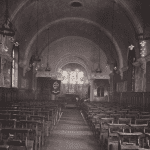 She trained as a nurse at the Royal Hampshire County Hospital, Winchester and joined the Princess Christian’s Army Nursing Service (Reserve) on February 4th, 18982. Sister Lilian Ainsworth travelled to South Africa with No. 10 General Hospital in the Hospital Ship Avoca3, leaving England on March 12th, 1900. She served with No. 10 General Hospital at Norvals Pont4, as well as with No. 8 General Hospital, Bloemfontein5, and No. 5 Stationary Hospital, Bloemfontein6. The nursing press noted that she had held the position of Sister at the Chelsea Infirmary, before going to South Africa, and was reappointed there on her return7. The 1911 Census shows her living at home in Birkenhead and designated as a Sister Army Nursing Service Reserve1. She joined the Queen Alexandra’s Imperial Nursing Service (Reserve) in May 19158, and was posted as Sister to the Sidney Hall Military Hospital, Weymouth. 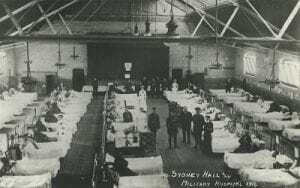 After a lapse of several weeks, in which the Sidney Hall Military Hospital at Weymouth has been left without a Resident Matron, and in spite of the shameful neglect and death of the poor soldier Gribbin, the War Office has at last sent down a proper staff of trained nurses and orderlies. A correspondent states that “ riot ” is the only word to describe the complete disorganisation of the place. As hundreds of trained nurses are waiting for Army nursing work,. one wonders why this hospital has been neglected so long9. 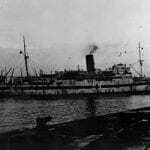 She was then transferred to Egypt on July 19th, 19158. She moved between Egypt, Iraq and India, becoming ill on a number of occasions8. In 1918 she was invalided to India with dysentery, and in 1919 she was returned to the UK. At Millbank, on September,11, 1919 she was found unfit for service8.